Today I have a fun set of ATCs using stamps by Gummiapan stamps available at Swedish House Crafts. 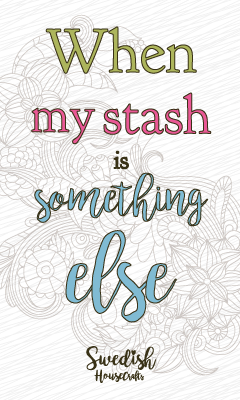 I used ink pads to colour the background and then used the texture stamps over the top. Next I stamped out the trees and butterfly onto card and coloured them in. 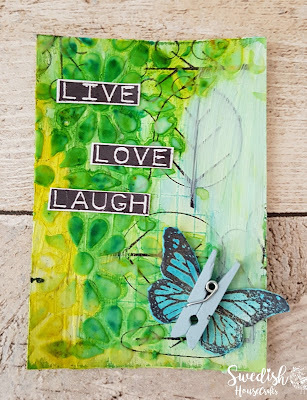 I cut out the trees and added them to the ATC and then added a small butterfly before finishing off with a sentiment. I coloured the background in using green ink and then stamped the tree stamps over the top. Next I added a stencil mask using modelling paste and then applied more green ink over the top. I stamped out the two large butterflies and coloured them with ink before adding them to the ATC. 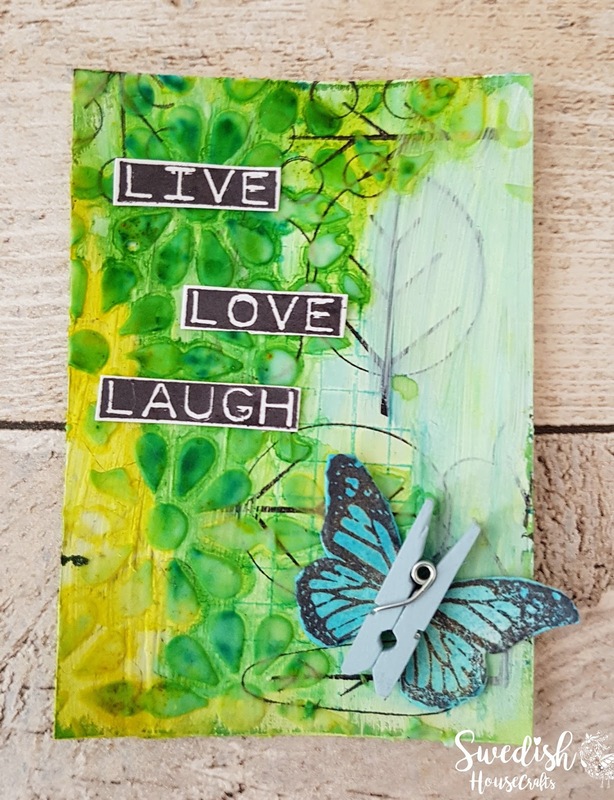 I added mini pegs to the centres to form the body of the butterfly and then finished off by adding the words down the centre. Wow !! These creations are truly fabulous !